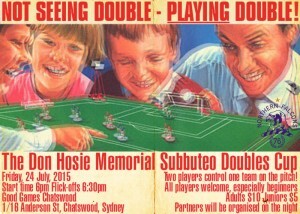 The Don Hosie Memorial Doubles Cup will be held on Friday, July 24 at Good Games Chatswood. This is an ideal tournament for those who haven’t played for years, or are just looking to start out – young or old. We will pair newcomers with a player who has been playing recently. It’s a great way to be brought up to speed on the tactics and rules of the modern game. We’ll have plenty of equipment for people to use. 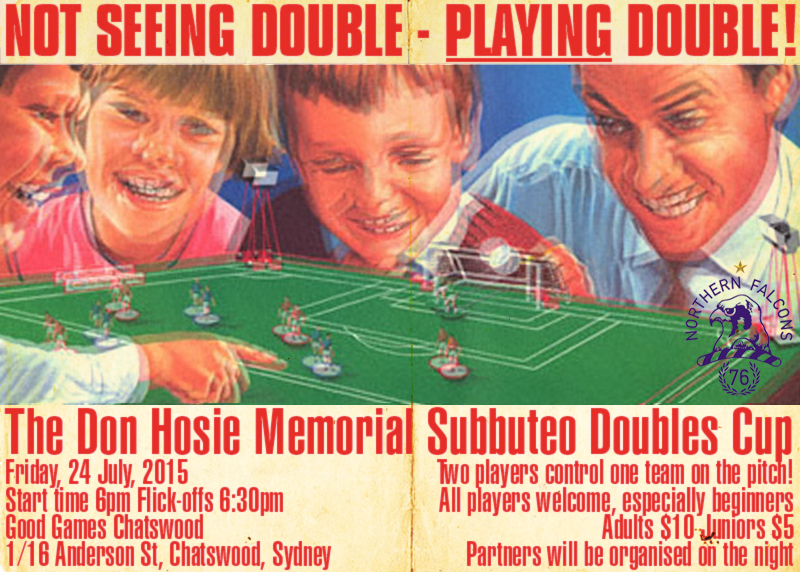 It’s also a great opportunity to bring along a mate or three to show them about the game. Start time will be around 6.30. We’ll charge an entry fee to cover all boards and equipment. The tournament is named after our late, great friend who remains one of the giants of the game in Australia. This entry was posted in News on 17/07/2015 by Steve Dettre.